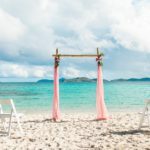 Weddings are a $72 billion per year industry. This number rises dramatically each year. The average budget for each wedding is $20,000. Not everyone has $20,000 to spend on this amazing day. 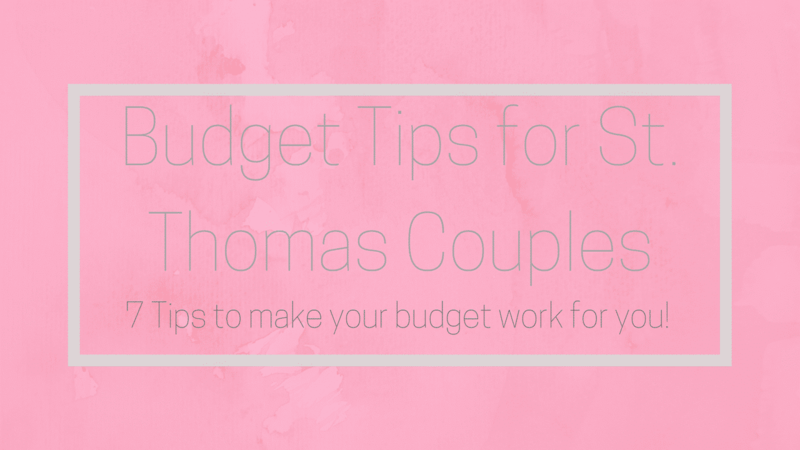 Today, I’m reaching out to my St Thomas Budget Bride to help with tips on how to cut your wedding back to where you are comfortable spending. 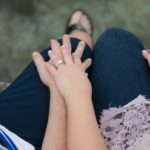 The reason you are doing this in the first place is to marry your best friend. Don’t lose sight of that important goal. 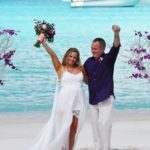 All you REALLY need is an officiant or a Justice of the Peace. You are not required to have all the frills. Cut your guest list. 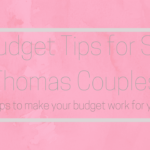 If your budget is too small for the amount of guests, the quickest way of getting those dollar signs to match what you want to spend is cutting down the guest list. Choose a buffet instead of a plated meal. Buffets tend to be a little less costly than plated dinners. Choose to have cupcakes or various other dessert options in lieu of a wedding cake. I recommend my St Thomas Budget Bride to get a small cake to cut for traditions, then get cupcakes, small pies, or other types of desserts. I’ve also seen candy bars, donut bars, etc. The possibilities are endless! Choose smaller centerpieces. A lot of people think that local flowers are going to be less expensive, but we don’t really sue a lot of local flowers here. We ship tropical flowers here. 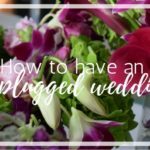 The flowers that grow here that couples want in their centerpieces and bouquets, such as plumeria, hibiscus, and bougainvillea whither and die quickly after being picked off the stem. Choose a later date. If you push your date back a few months, you’ll have more time to come up with the amount of money you’ll need to cover extra expenses. Consider having a morning wedding. 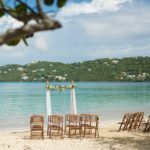 St. Thomas weddings tend to be very pretty in the morning since the water is it’s most turquoise earlier in the day. Your reception will be less expensive as well. Who doesn’t love brunch?! Switch up your bar choices. You don’t have to include premium drinks for the bar. 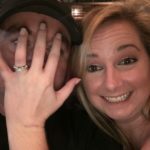 Consider choosing a beer and wine open bar or punch bowls. 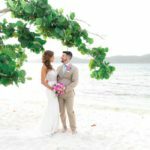 I’ve had to use some of these tricks for my own wedding! Try them out and see how much you can save! 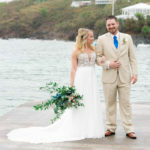 You can also cut on your wedding outfits by outsourcing it but make sure to receive samples for fitting, fabric, and type of work, embroidery will be done. It could be difficult but you can save significant amount.